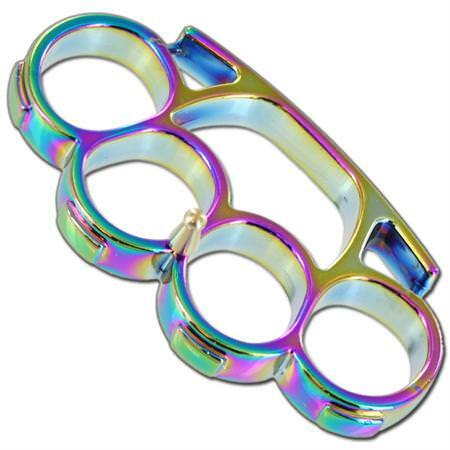 Our Titanium Finish Iron Fist Knuckleduster makes a perfect paperweight. Screw in the buckle pin and transform this knuckle into a buckle. It features four finger holes with each carrying a rectangle design on the front which will leave a lasting impression. 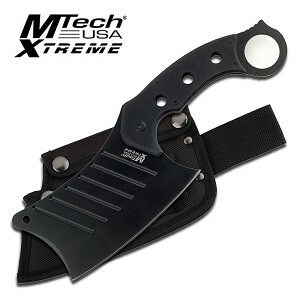 It features a Titanium finish with large finger holes measuring approximately 25.78mm in width and 26.74mm in length.